Mahesh completed his Bachelors of Dental Surgery from Delhi University in 1990. For 26 years he established and maintains a multi-specialists private practice in New Delhi. Mahesh completed his Bachelors of Dental Surgery from Delhi University in 1990. For 26 years he established and maintains a multi-specialists private practice in New Delhi. He still runs his practice in New Delhi with the help of his associates, dentist wife, Artee. Mahesh has a keen interest in Implantology and Cosmetic Dentistry. 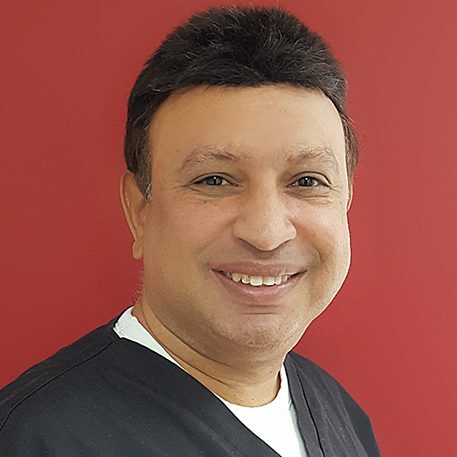 In 1999, Mahesh travelled to the USA for a one-to-one training in Cosmetic Dentistry and Implantology with Dr Gordon Christensen arguably one of the best dental educators in the world. In 2003, Mahesh travelled to Canada to complete a one-year full-time Implant program at the prestigious University of Toronto. Mahesh has also been a Foundation Dentist trainer for Oxford Dental Deanery. He has trained in USA, Canada, Carribean, Ireland, UK, Germany, Sweden, Italy, India & Austria. Mahesh spends hundreds of hours each year to keep himself abreast of the latest techniques and technologies in his chosen field of dentistry. Mahesh is a Fellow of the International Congress of Oral Implantologists. Mahesh is also an associate of Dental Implantology UK, accredited Implant mentor for budding Implantologists. In his free time, Mahesh loves to spend time watching his son, Jayesh play some incredible cricketing shots or tends to the garden under the watchful critical eyes of his dear wife, Artee. Kapil completed his Bachelors of Dental surgery in 2000 from Manipal Academy of Higher Education, which is one of the most prestigious Dental School in India and thereafter underwent training in endodontics. Kapil practised for 10 years in his private practice in New Delhi . and in 2010 moved to the UK. 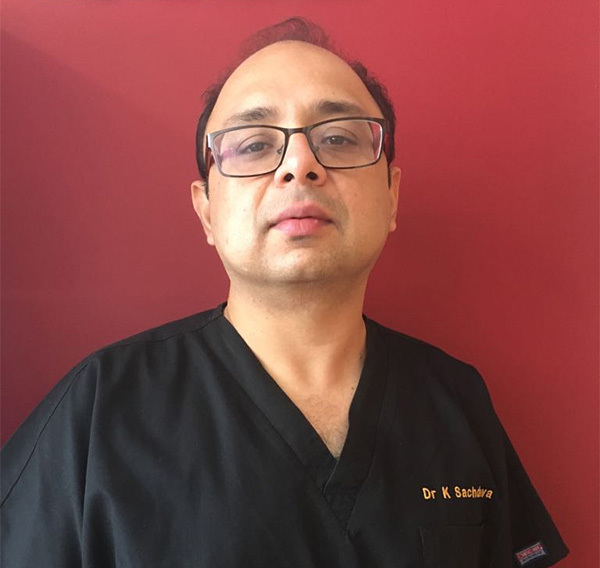 Kapil is passionate about dentistry and has clinical experience of over 17 years. Kapil has a keen interest in Aesthetic dentistry, Digital Smile Design, Occlusion and TMJ. Kapil is pursuing Post Graduation in Restorative Dentistry from the University of Chester and is a mentor for a newly qualified dentist in NHS. Kapil is family oriented and has two sons Shreyan and Vedyan. He is a travel fanatic and loves spending time with family. Deepika worked in Government Dental Hospital as a clinician and clinical instructor for 3 years post-graduation. She then moved to private practice afterwards and registered with GDC in 2014. Deepika worked in Government Dental Hospital as a clinician and clinical instructor for 3 years post-graduation. She then moved to private practice afterwards and registered with GDC in 2014. In addition to general dentistry and certified in facial aesthetics, looking forward to learning and practice short term orthodontics. 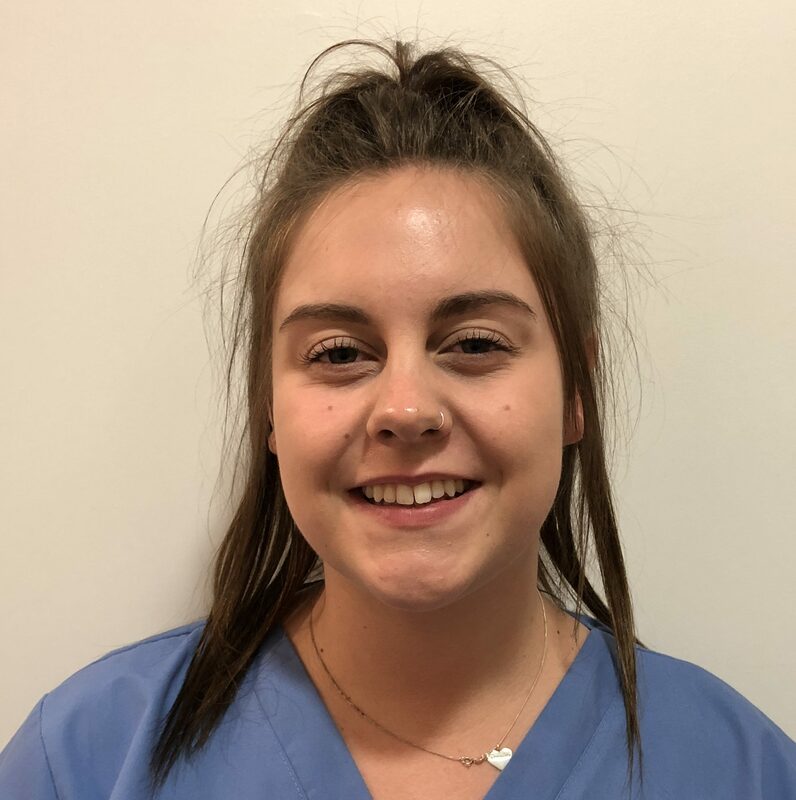 Georgiana has recently joined the team in Chandlers Ford and will also be working at our sister practice in Lymington. 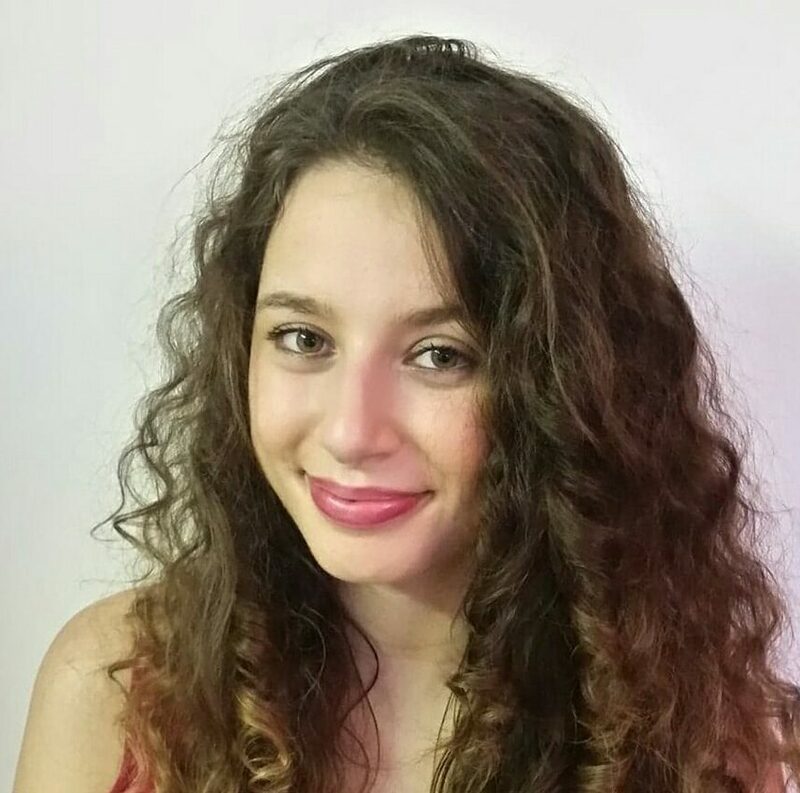 Georgiana has recently joined the team in Lymington. 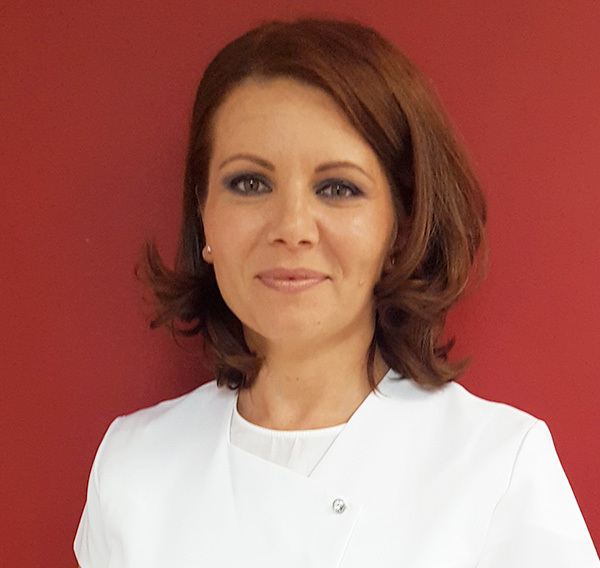 Georgiana moved from her home country of Romania in 2007 and located to Salisbury where she has worked in a practice building her patient base. 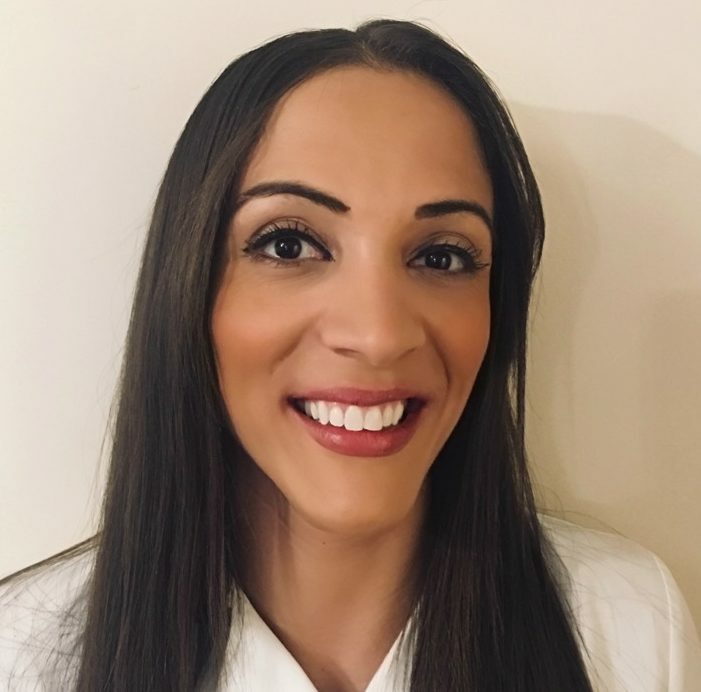 Georgiana is very keen to develop her dental skills and has completed various complimenting masterclasses in dentistry and dental business development. Not only is Georgiana fluent in English and Romanian she can also speak French & Spanish. Georgiana has a string of interest including gardening, animal care and keeping very busy with her 3-year-old son. Ugne has recently joined the team. Originally from London, Ugne studied Dentistry in Lithuania. She has worked as a general dental practitioner in an NHS equivalent practice in Lithuania. Ugne is committed to lifelong learning. She has participated in various dental courses and conferences in Europe as well as in England. Ugne is currently preparing for the Diploma of Membership of the Joint Dental Faculties (MJDF) at the Royal College of Surgeons of England. She enjoys walking, cooking, exercising and spending time with family and friends. Liz qualified as a Dental Hygienist in 1993 whilst serving in the Royal Air Force. During her time in the Royal Air Force, she worked in various practices including an Oral Surgery department, Specialist Orthodontic and Periodontal practices. Since leaving the RAF in 1995 she returned to the local area and has worked in a variety of dental practices, developing her skills and experiences in all aspects of dentistry. 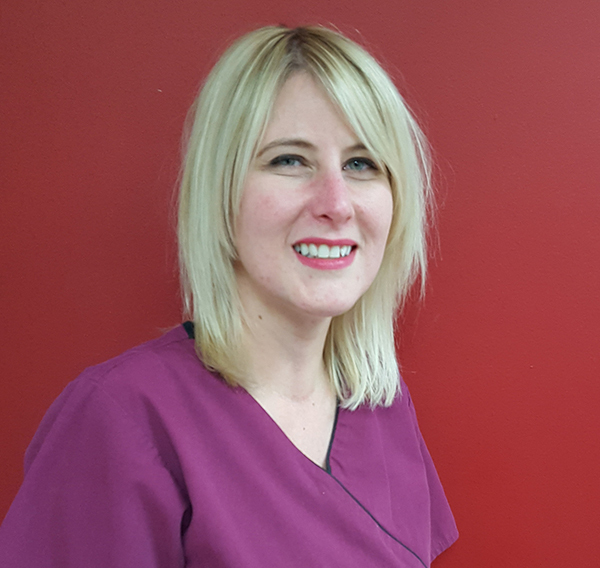 Liz’s experience allows her to provide high-quality dentistry to all her patients, with a particular emphasis on providing gentle and relaxing care to the more nervous patient. 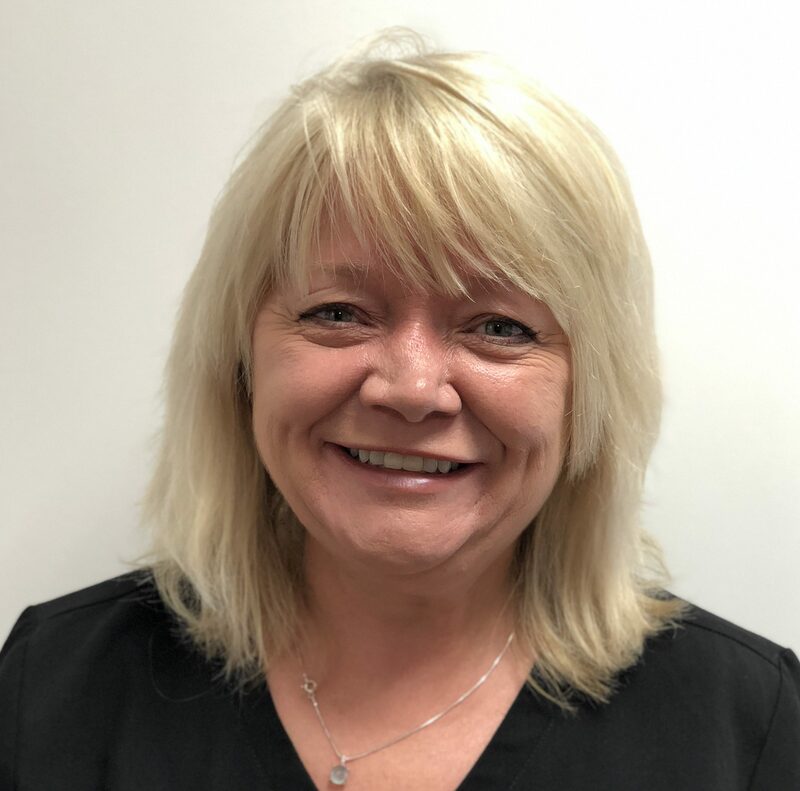 Liz enjoys developing new skills as part of continuing professional development and keeps up to date with developments in dentistry by attending courses and training. Liz enjoys spending her spare time with her three daughters, gardening and Ballroom and Latin dancing. Heam has recently joined The Smiles Studio. Originally from England, Heam studied dentistry in the United Arab Emirates and has worked several years as a Dentist in Dubai. Heam is currently GDC registered to perform hygiene until she fulfils necessary commitments to perform dentistry in England. During this time she is excited to be a part of The Smiles team in a clinical aspect. 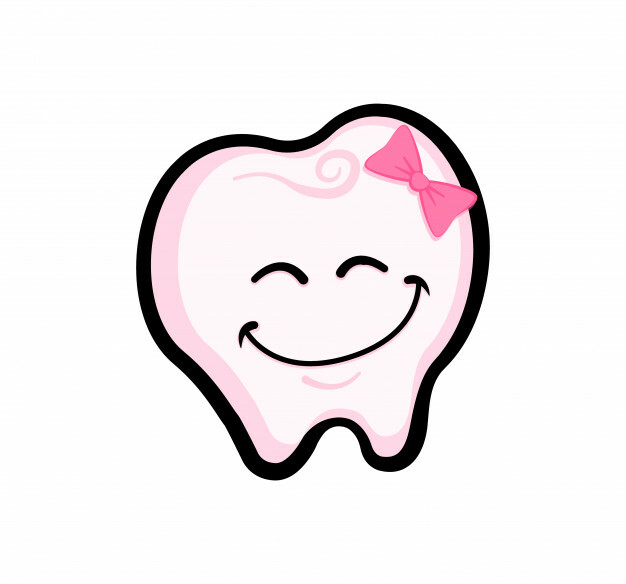 Her high energy and bright smile will always make a hygiene dental visit a pleasant one. 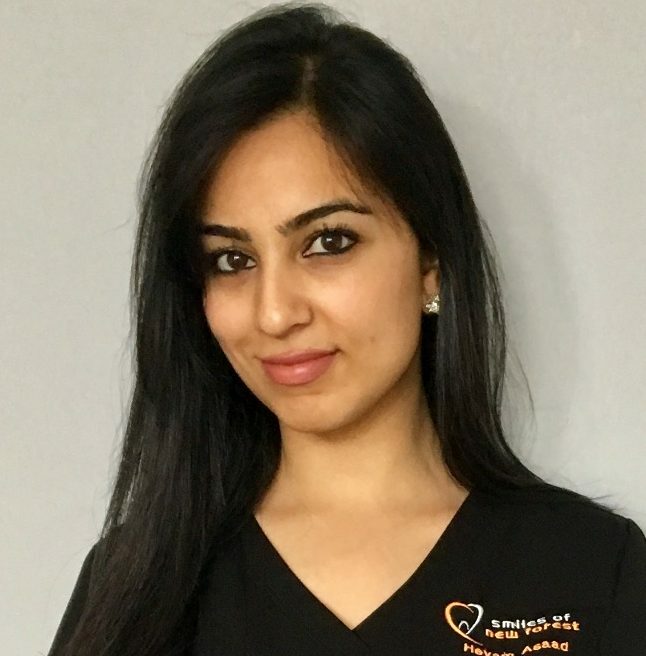 Heam graduated as a dentist in 2014; as a result of her high grades she had the opportunity to work as a dental lab/clinical instructor in the same awarding university, teaching the fundamentals of dentistry to students. Shortly after that she worked in private practices as a General dentist within the UAE; in addition to that, Heam conducted dental projects and won Second prize for a research project based on ‘awareness of precancerous lesions and factors predisposing to Oropharyngeal cancer among patients in the UAE’. 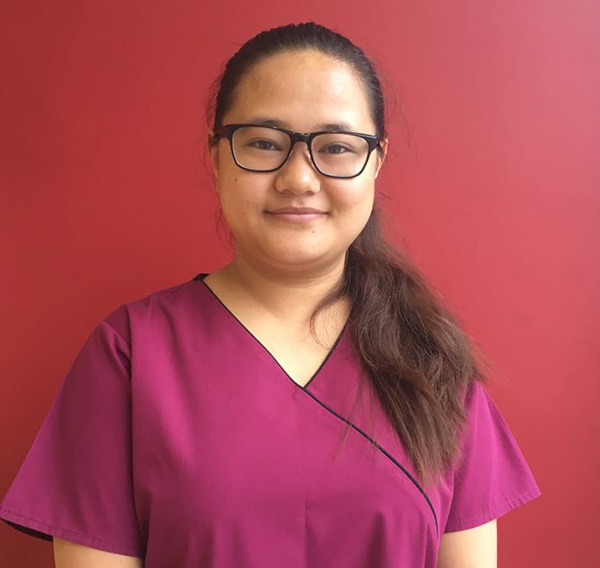 Heam has great aspiration to be part of the NHS system, and while she is waiting for her paperwork to get through, she is utilizing her time as a hygienist with great dedication and enthusiasm to delve further in the extensive field of Dentistry. 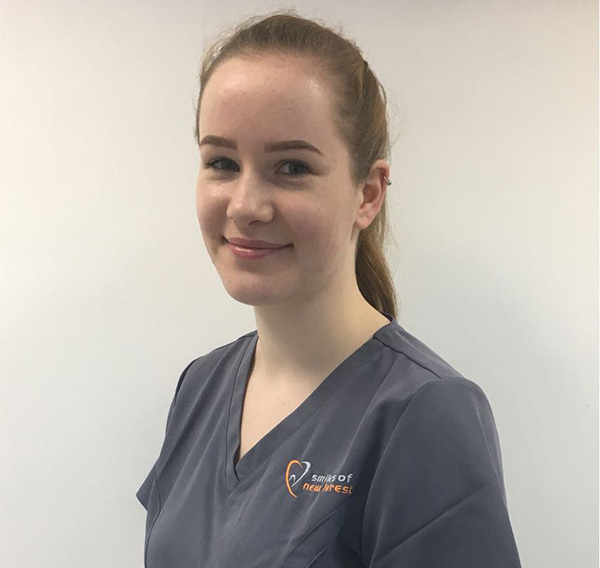 Lauren has just joined Smiles of New Forest as a committed and hard working dental receptionist who always enjoys a challenge. Lauren's customer service skills are of the highest standard and she always thrives to give the best patient care. Her sweet and kind smiling welcome will brighten any dental visit. Kelly has been with The Smiles Studio for 5 years. She is a committed Implant nurse, with a lot of Implant Treatment knowledge. Her gentle approach and sweet loving nature will make your implant treatment a rather soothing experience rather than a surgery. 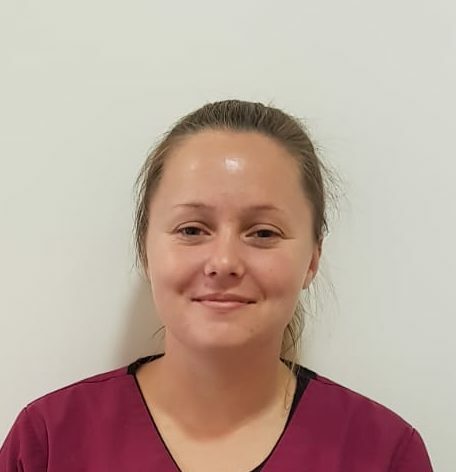 Nora has recently joined our practices as a Dental Implant Nurse. Nora has been working as a dental nurse for four years including experience of working with dental implants. She is ambitious, very motivated, and a hard worker. She is a great team player who is very friendly with colleagues and has always been appreciated for her fast and efficient work. Marissa has been with Smiles of New Forest for nearly a year. 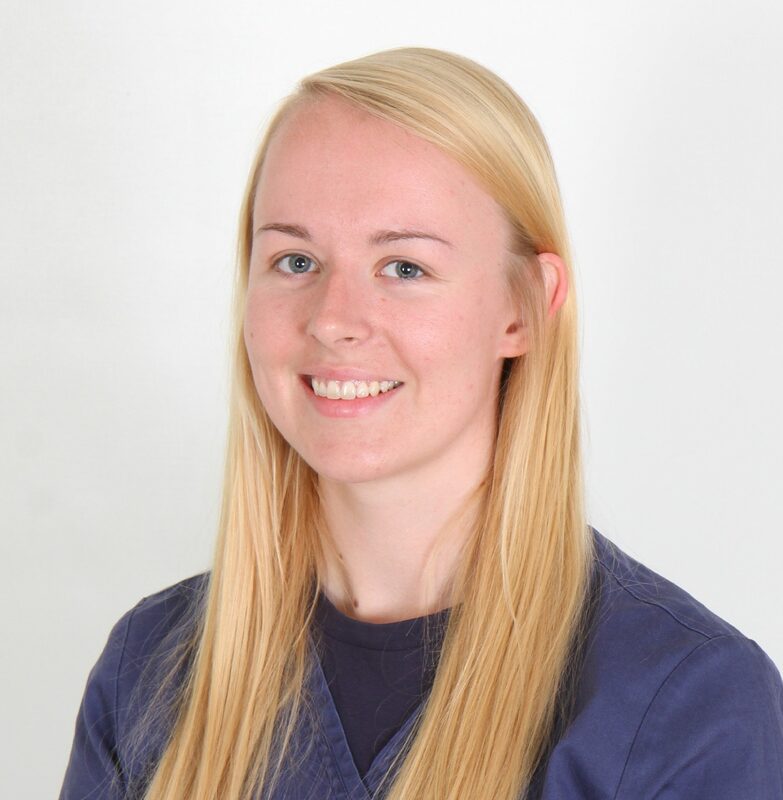 Originally from the Netherlands, she is quick on her feet and eager to help any patient out. She goes above and beyond for all her patients and her team. Sumitra has been with Smiles of New Forest for 2 years. She is a proud Army wife. 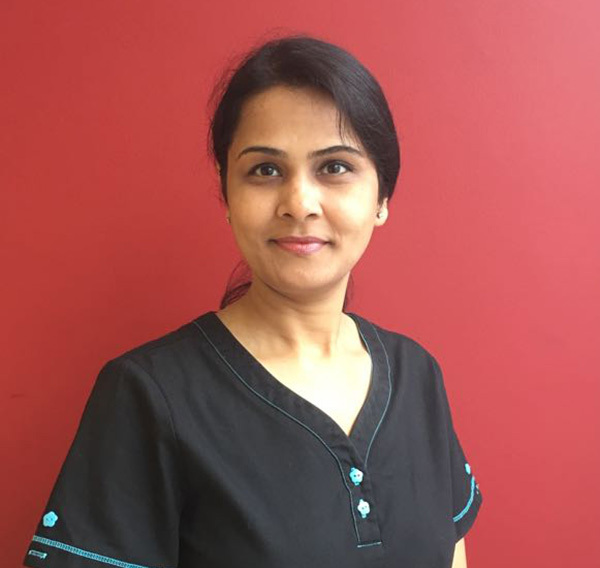 She is fully committed to providing exceptional patient care if you have any enquiries about your treatment Sumitra will be happy to guide you Monday, Tuesday and Wednesday. Chelsea is the newest addition to our team. She is very passionate and enthusiastic about her new Trainee Nurse role. Her bubbly personality and positive attitude keep our whole team in good spirits at all times. If you see Chelsea don't hesitate to say hello, as I'm sure she will chat you up and take away the dental jitters.